Need Waterproof protection for your crib mattress? Look no more! Our Cover All Mattress Keepers are waterproof and dust mite proof! Machine Washable hundreds of times! The top of our CoverAll Mattress keeper is a soft 100% cotton terry fabric that absorbs moisture like a sponge. The backing is 100% waterproof polyurethane that keeps moisture from penetrating the mattress. Totally quiet, this cover will protect your mattress, without making that crinkly noise associated with vinyl covers. 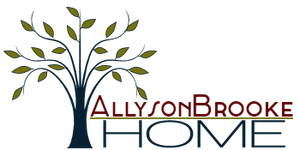 Allyson Brooke Home CoverAll mattress keeper is made like a fitted sheet, with elastic sewn completely around the cover so it fits snuggly on the mattress. It measures 28X52, and will fit a standard Crib/Toddler mattress up to 5 inches thick. It can be placed under a mattress pad and works great with our 100% cotton mattress pad! Consider buying two so you always have a fresh spare when that unexpected accident occurs!